In this sound bite world of text messages, 140 character or less tweets, and short attention spans, political statesmanship may become a lost art. This week CNN produced a presidential debate that discouraged eloquence and elaboration. The 30 second time limited response more closely resembled a speed dating session. It was hard to tell if John King was suffering from Tourette’s, ADHD or both. This format was designed to stifle the impact of the candidates and prevent true statesmanship from blossoming. 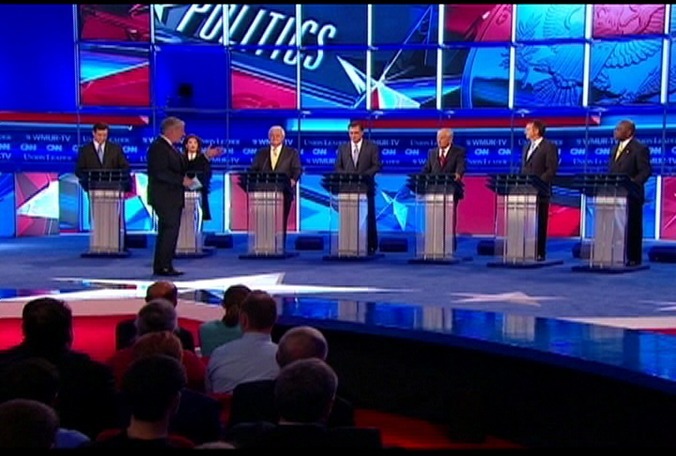 By limiting and minimizing their responses, CNN effectively neutered the Republican hopefuls. Watch this version of Patrick Henry’s famous oration by actor Dean Jones. It is a fairly brief and extremely remarkable speech of just under 3 minutes but just imagine how unremarkable it would have been had John King been there to grunt him to a halt at the 30 second mark.